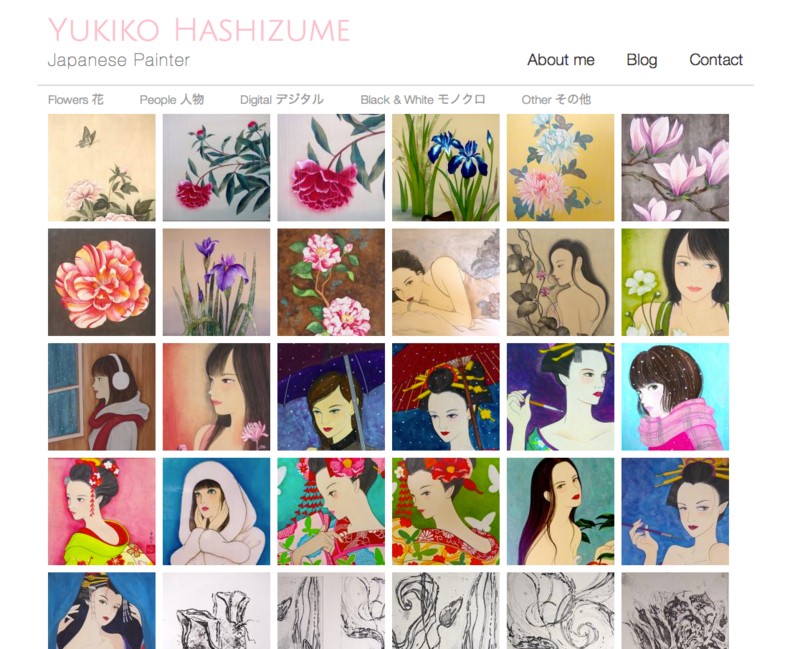 Late last week I launched Yukijapon.com, an art portfolio site for my wife, Yukiko. The site serves as a place to show her amazing Japanese art (among a number of types of art she does), as well as give a bit of information about herself. Eventually we’re hoping to add products for sale on the site, although Yukiko already accepts offers for work. The site was built using Pixel &Tonic’s excellent Craft CMS. I used Zurb Foundation 4 to quickly get the layout and functionality up and running. I decided to make each entry a “category”, with each entry containing an Assets field. An Asset field can have multiple images (files) attached to it. The user can also change the order of these images/files through drag & drop. The About and Contact pages were set up using Global Sets. The contact form uses the Contact Form plugin by Pixel &Tonic. The Blog section goes to her longstanding Blogger site. Blogger has some features she still finds useful. I ran into a tiny problem with deleting entries containing assets, but the P&T team helped me almost instantly. An update fixed the issue for everyone. The Craft Google+ community helped me with randomizing entries (not assets yet, but it’s something Craft will likely flesh out more in the future). Everyone was incredibly responsive there as well. I had issues with uploading files since going live, but that was a host issue: apparently the webhost used was blocking some POST requests using Web Application Firewall (WAF). Turning that “feature” off resolves the issue. Yukiko (a.k.a. the “Client”) seems to really enjoy using Craft, even with the extra step where assets (currently) need to be uploaded in a separate section before being adding to an entry. Despite this additional step, she finds the Control Panel UI cleaner and easier to manage compared to what she is used to up to now. Interesting how a different design can give that impression: after all, the client is still just filling out boxes and uploading files, right? Craft was also translated to Japanese (by guess who? ^_-), and the fonts look great in the CP. She had issues with the naming for “Assets” and “Globals”, which wasn’t initially obvious. 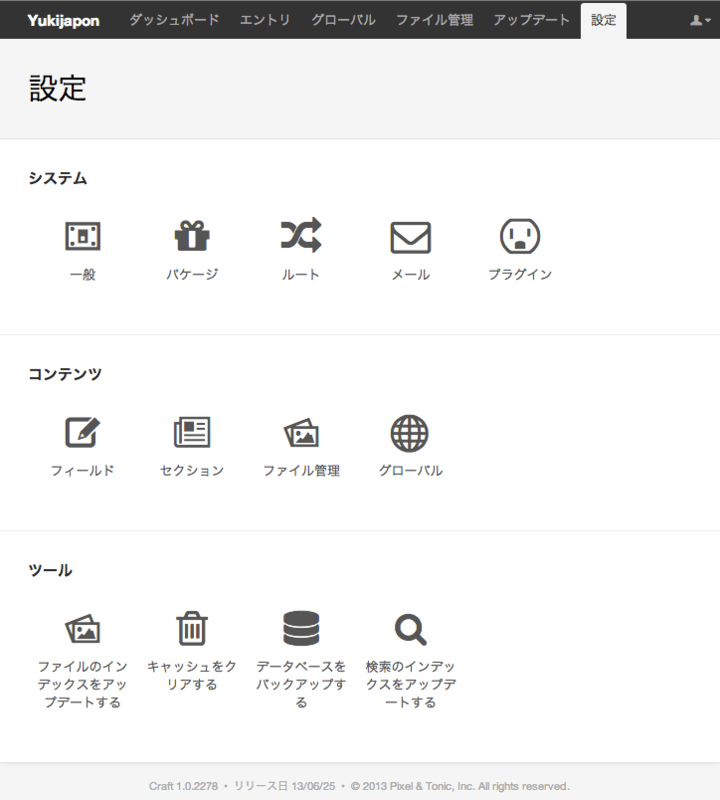 I changed “Assets” to “File Management” in Japanese since there is no non-technical word for “assets” in Nihon-go. I’m considering changing “Globals” to “Site General Settings” as well, maybe just for her site’s purposes. I went through 2-3 Craft updates in the course of development. Developing with Craft was easy and I could hit the ground running with templating, and the unbelievably speedy response and friendliness calmed any fears I might have had during development. Finally, if you like Yukiko’s site, are interested in some of her work, or just want to say hi, please feel free to drop her a line. Ever wanted to edit something in your entry, but felt opening that long entry form was a drag? Henshu (Edit in Japanese) might be for you. It allows you to edit entries in the EE Control Panel, but jump straight to what you want to edit: no need to open the entry form to fix that typo in your textarea! I use it here and it saves me a lot of time. Henshu should be released soon. Check out the @zenbustudio Twitter account for announcements! Up to now, making purchases on Zenbu Studio required to enter your billing address each time, unless you used some kind of autocomplete in your browser. From now on you can fill out your billing information in your profile, which should fill out the billing section of your checkout form automatically. Hope this saves you a few clicks. For those requiring a VAT number with your invoice, you can now set up your VAT number in your profile, and/or add a VAT number to your order. Following up on requests from some users to easily get their hands on both Zenbu and Hokoku at the same time, the Zenbu + Hokoku Bundle is now available. Once you purchase the bundle, a license for both Zenbu and Hokoku will be available for download in your account. As with single purchases, you also get access to early betas/patched/fixed versions of the software when available. Also, the bundle is cheaper than buying Zenbu and Hokoku separately! So what are you waiting for, get both great add-ons together now! This week I released Zenbu 1.8.0, which contains a number of tweaks and new features based on user’s feedback. Here’s a roundup of the new features. Up to now, you were able to save some searches made in Zenbu for later use, a handy shortcut to more complex searches without having to write every criteria each time. These searches were yours and yours only, and there was no way to copy these to a member group. Further, ordering meant deleting some searches and re-saving them so they appear at the bottom of the list. Same goes for renaming of searches. manage searches for all member groups, as well as be be able to copy searches to other member groups. I decided to implement the icon set available at Font Awesome, since they are low-key and enhance the UI nicely. The spinner animation is great. This was a popular request: a way to set some elements (eg. title, channel, status, etc) to display for all channels without having to actually go into each channel and check each box. Now, if you visit the All Channels section in Display Settings, some checkboxes will be available to allow you to check all entry titles (for example) as visible. Up to now, when you first loaded Zenbu, the first 25 results would be displayed. To display less (or more) than that required to modify one of the core files (which I don’t recommend of course) but not anymore. A new setting, Default Limit, allows you to set the default number of entries displayed in Zenbu when landing on the page. I also added Any Title or Basic Custom Field, similar to EE’s native “Search titles and entries” filter, as a choice in the Default Rule Filter setting. Zenbu is now compatible with Pixel & Tonic’s Assets 2 add-on, which is a major update from Assets 1. This also includes Assets 2-in-Matrix support. Other notable new features are searching by url_title, more “contains/does not contain”-type options for entry title and url_title filtering, as well as a number of interface and performance tweaks. Want more details? The full changelog for 1.8.0 is available. Hope you enjoy these new features! In December 2012, Zenbu Studio celebrated with its first anniversary, which followed its official website announcement and Hokoku, a two-click export/reporting engine for Zenbu on November 21st, 2012. I thank my clients and the #eecms community at large for 2012, and wish you all a Happy New Year 2013. Here’s to a great 2013! Zenbu Studio has some more surprises for this year, which I’m sure you’ll absolutely love. Follow @zenbustudio on Twitter and in the #eecms stream for the freshest news on what “the team” has in store!